A cross-linking, fast set, sculpting liquid. Reduces application and cure time, even in cold environments. Provides enhanced durability and color stability over other fast set liquids. Delivers competition color and speed with real-world wearability. Sets up to 50% faster than traditional sculpting liquids. Creates lock down adhesion by forming covalent bonds to the natural nail, making primer optional. A reinforced, cross-linking sculpting liquid for tough enhancements. Use on clients with enhancements that are prone to cracking and chipping. Has full bodied consistency that is easy and fun to work with. Creates tough, crack resistant enhancements. An advanced sculpting powder for tough enhancements, easy workability and enhanced color options. Activates the cross-linking and polymerization of Radical™ and Retention+® sculpting liquids. Creates tough, crack resistant enhancements when used with Radical™. Creates enhancements with superior adhesion when used with Retention+®. For use with Radical™ or Retention+® sculpting liquids. 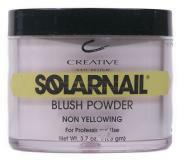 The original sculpting powder designed for SolarNail® Liquid. 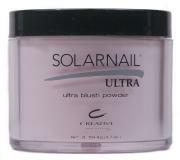 Activates the cross-linking and polymerization of SolarNail® Liquid. Creates color stable enhancements with hard, scratch resistant surfaces. For use with SolarNail® Liquid on sensitive clients. 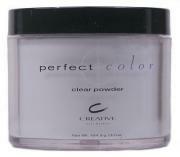 An advanced sculpting powder for tough enhancements, easy workability and standard color options. Activates the cross-linking and polymerization of Radical™ and Retention+® sculpting liquids. Creates tough, crack resistant enhancements when used with Radical™. 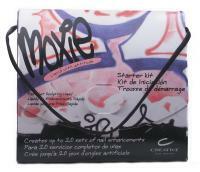 Creates enhancements with superior adhesion when used with Retention+®. For use with Radical™ or Retention+® sculpting liquids.